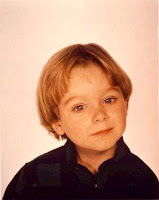 If you know me in real life, you know I've been slightly obsessed with child stars for as long as I can remember. Wait, that didn't come out right. Allow me to explain ... obsessed with the child stars of my day meaning we're the same age. I don't follow the careers of today's child actors, unless it's for the sole purpose of a freelance writing assignment. I've been writing teen entertainment articles since 1997. I love A Christmas Story. I saw it about 12 times in theaters back in 1983. I own the video, a gift from Hubs last Christmas. Every year, I beg him to go with me to Cleveland to see the house. When TBS does the 24-hour broadcast, I try sneaking in as many views as possible between chatting with relatives. A few years ago, when MySpace was all the rage, I discovered that many of the actors had their own REAL pages. I began adding them. I couldn't believe I was actually connected to Flick (Scott Schwartz) and Scut Farkus (Zach Ward). I was surprised to learn that unlike his costars, little Randy Parker, Ian Petrella, hadn't really gone on to act in any other movies since A Christmas Story. Something about him caught my attention for a few weeks. I followed him for a bit then moved on once MySpace became "so ten minutes ago". The highlight of our "friendship" was a momentary interaction where he made some sort of Sopranos-like comment to his cousin. I noticed and gave him props for being Italian and he replied "Ha ha, yup!" It was such a weird feeling. Fans he had met at various Christmas Story House events and other film festivals, all tried to jog his memory of their encounters. Everyone wanted some sort of recognition, be it through a photo they took with Ian or a laugh they shared during a photo signing. Vying for a virtual high-five, we were quite pathetic to be honest. In the '90s, several of my friends attended "cooler" colleges than I did. One friend spotted Degrassi Jr. High's "Lucy" roaming the halls at NYU. Another friend confirmed that one of her fellow students at Antioch College was Josh Miller. Josh portrayed Keanu Reeve's annoying littler numchuck throwing brother in River's Edge and had some other smaller roles in '80s TV and movies. On New Year's Day while watching SyFy's Twilight Zone marathon, Hubs and I discussed one of the episodes, which also appeared in the 1983 film, Twilight Zone: The Movie. Jeremy Litch played the part of the evil child, Anthony who wished things and people "away". Jeremy's only other claim to fame was of the brainy brother on The Hogan Family alongside my love, Jason Bateman. Of course I had to Google Jer and see what he's been up to these days. According to People magazine, his wife gave birth to a baby last year, but what truly shocked me was that he met his wife on JDate.com! JDate is an online dating site for Jewish singles. Could you imagine creating a profile on a dating site and marrying a child star? How weird! It surprised me that this dude who once received tons of fan mail from Tiger Beat reading girls all over the world, resorted to an online dating service sixteen years later. I mean, I know Bret Michaels and other washed up celebs rely on MTV to hook them up with a new loves every season, but come on, we all know that's not real. There are dozens of examples of child stars becoming regular people like teachers, doctors and lawyers. Former child actor Brian Bonsall from Family Ties was in construction before getting arrested for beating up his girlfriend. 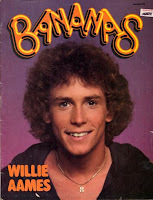 Willie Aames (Eight is Enough and Charles in Charge) recently made the news by going bankrupt and being forced to take a "regular job." He's now a financial advisor. How do people treat a former actor in the employee lunchroom? I can't imagine it. "Willie, do you have change of a five? I need a soda from the machine." I was never the kind who followed kid stars. I was way too much of a geek to care about that kind of stuff. That said I often find myself watching the "where are they nows" to see who destroyed their lives and who got out with dignity. I suppose it is a bit macabre of our society to enjoy watching young stars and starlets deconstruct. But it's just oddly fascinating. That's cool about the guy who played Randy in a Christmas story though. I love that movie. Well you have me there. But a totally different geeky. I was too busy immersing myself in the worlds of Robin Hood and King Arthur. Yup, sadly that's the type of geek I was. I live in Las Vegas, the city where all the stars, child and otherwise, come to die. If we are the entertainment capitol of the world, we are the B movie to LA's A list flick when it comes to stars. When you live and work here, you run into all kinds of entertainment figures just doing their mundane daily stuff. We are moving up in status though since Las Vegas became the foreclosure capitol of the world this past year, the A-list stars are coming here to grab up cheap real estate. @Jared I totally know! I should have included that in my post. Ha ha! I saw a special on him a while back. I had such a crush on him when he was in The Toy and Christmas Story - he got so fugly. Not to be mean :( I can't believe it's the same kid! 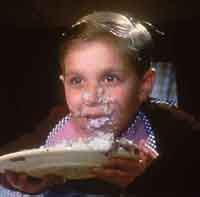 "RALPHIE!!!!! I can't put my arms down!!!!!!!!" WHAT. You should get to meet aaron carter for writing a book about him. And then tell nick i said hi and give him my number. swoon. @Maxie - I interviewed Aaron many times when he was younger for our teen mag. I wrote the book under a pen name as not to piss off his family or my editor. Secrets out now thanks to this blog. That is so cool that you wrote a book. Great post, Ally. I really do like your blog. @Jen, don't laugh, that means a lot to me coming from you! I love your blog!!! btw, that is so weird about jeremy licht and jdate. i thought that site was reserved for members of Alpha Epsilon Pi.